TrekkerTent Saor 4 season lightweight tent? A 4 season solo tent weighing just 1.25kg for 340 pounds - looks too good to be true! My only reservation is the large area of rearwards facing fly supported by an unreinforced guying point - but what would I know; I'm no tent designer! Re: TrekkerTent Saor 4 season lightweight tent? Google Dawns Pages.... Blog... She has several tents made by Marc in Perth. She wrote up a detailed review somewhere.... Send her a message. She's over East. Marc is an ex engineer. Knows how to design tents that work in Scottish weather.. The Phreeranger is one of his best. A re vamp from the old Phoenix brand. Your only issue will be waiting time. And I mean, long!!! You could email or phone Mark and ask him, it does say the fabric has an 18kg tear strength. Thanks for the replies. I'm not quite at the buying stage yet; I'll certainly contact Marc when (if) I get to that stage. In all other respects it looks like an excellent tent. From trawling elsewhere (trek-lite forum), inner height is 95cm, which is plenty. Poles are 9mm 'Easton Aluminium Nanolites', apparently, but 10mm can be supplied at no extra cost. 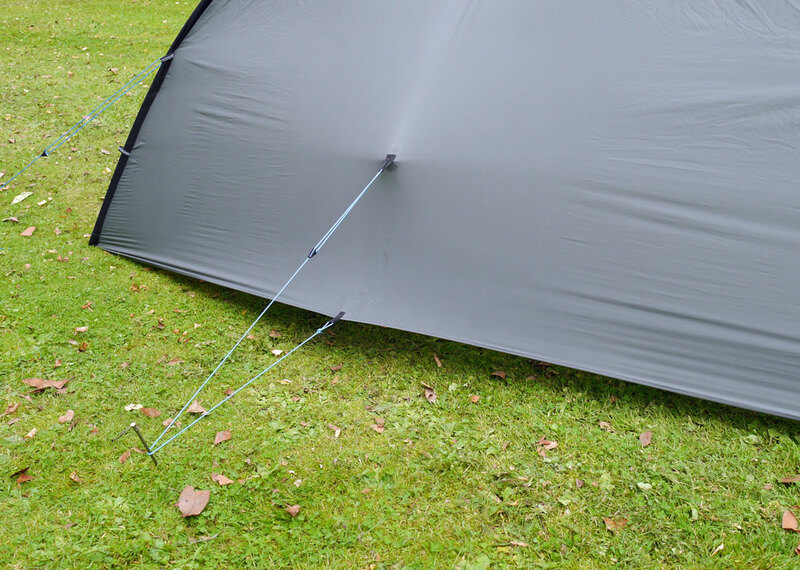 A double entrance version of the Saor tent would be of interest; would eliminate that 2.4m wall of flysheet at the rear, as well as giving extra storage space and a choice of exits should the wind change. I can't imagine that it would weigh/cost a lot more than the standard model. Good in hot weather too for letting a breeze blow through; would be a great all-rounder. My wife wouldn't be impressed if £340+ disappeared from our bank account right now, and yet another small tent appeared on the shelves! Apparently it doesn't work with these new plastic notes. The revised Saor tent was initially a custom order in dcf, it has come out quite similar to a Hilleberg Unna, but wider for a deeper vestibule and different venting design. Full details should be posted on the website at the end of April.